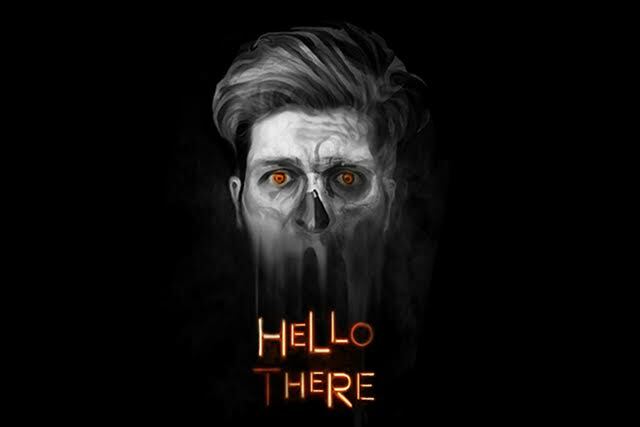 'HELLo tHERE' (a.k.a. HELL HERE) is a short psychological thriller that is not only setting out to scare you but also to be thought provoking. The film takes a dark, but realistic look at the psychological trauma caused by inequality, racism, and homophobia. Their goal is not just to scare the bejesus out of you, but to create a film that is equally terrifying as it is thought provoking. This world is, and has always been, plagued by senseless fear and hatred for one another as human beings. Creator Dylan Wayne Lawrence and his team are fully dedicated to telling stories that showcase the "horrors of reality" in an effort to inspire change. The greatest challenge set for the team is not only getting the budget to make the film but also to create an original monster. Think of cult-classic creatures like Alien, Predator, Jaws, Pumpkin Head or Jurassic Park. How disappointing would it have been if the big "monster reveal" came and some guy was dressed like Barney running around? Lame wouldn't even begin to cover it. Most Hollywood productions utilize CGI to bring to life their creative visions. Although this may be a more cost effective effect, nothing will ever look as authentic or terrifying as good ole practical effects. The team behind "HELLo tHERE" are beyond fortunate to have secured one of the best FX Artists in the biz, David T. Woodruff (X-Men: First Class, Aliens vs Predator, The Thing). With his visionary talents and expertise, the creature could easily become the next cult-classic movie monster. However, in order to make this creature right, it's important that they reach their funding goals so there is no cut corners on the badass-ness that will be the "HELLo tHERE" creature. The aim is to reach $30,000 in 59 days which will go a long way in to creating the perfect creature and of course there is perks to donating towards the film as you can see by going through the link above. If you can't donate towards the film then just spreading word on the film via social media will also help.